Abe Attell was a fluid boxer and excellent defensive fighter. Born in San Francisco, he fought primarily on the West Coast until winning a world title. Despite outpointing former champ George Dixon in 1901, Attell wasn't recognized as the world's best featherweight until he knocked out Harry Forbes in St. Louis in 1904. Later that year, Attell was knocked out by Tommy Sullivan, who also claimed to be the featherweight champion. Attell earned unanimous recognition as 126-pound king in 1906 when he bested Jimmy Walsh over 15 rounds. 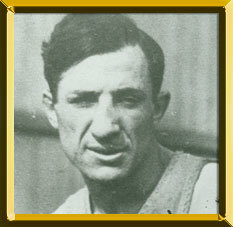 Attell then made a division-record 21 title defenses, beating the likes of Sullivan, Forbes, Kid Herman, Owen Moran and Johnny Kilbane. He also faced future champion Jem Driscoll and lightweight champions Battling Nelson and Ad Wolgast in non-title fights. In 1909, Monte Attell, Abe's brother, won the bantamweight title, marking the first time brothers held world titles simultaneously. Attell finally lost the featherweight crown to Kilbane on February 22, 1912. He never challenged for the title again and retired in 1917. Attell regularly bet on himself during fights, a common practice of that time, and gambling would eventually tarnish his ring accomplishments forever. The featherweight champ was involved in fixing the 1919 World Series between the Chicago White Sox and the Cincinnati Reds and was indicted after several White Sox players testified before an Illinois grand jury. Attell maintained his innocence and the charges against him were dropped when the prosecution could not produce enough evidence.